Water is essential to life and no substitute can replace it. A shortage or the impossibility of using it by contamination, for example, causes irreversible damage to adversaries. But water can also be used as a defence, as shown by the presence of ditches around castles, or offensively by flooding the enemy. Ethically, these actions, still used today, are not without questions, especially since they contravene the Geneva Convention of 12 August 1949. The Romans, much more than the Greeks, were culturally reluctant to wage a “thug war” using ambushes, betrayals or even night attacks! The military ethic of that time was “face to face” combat. It was after the Second Punic War that the Romans changed their vision of war when they had to counter the brilliant Carthaginian tactician Hannibal, master of the unethical but victorious war. Leaving Spain, he crossed the Pyrenees and then the Alps to challenge Rome via northern Italy (218 B.C.) Being aware that his fleet was much less powerful than that of the Romans, he chose this path, unimaginable at the time, especially accompanied by war elephants. From then on, the Roman General Quintus Fabius Maximus used “deceptions” to defeat the Carthaginian army. This new way of making war is well described in the manual of stratagems “Strategematica” written by Frontinus in the first century of our era. It contains the first descriptions of the use of poisons to deliberately contaminate water sources. But in fact, it was General Aquilus who, in 129 B.C., seems to have invented the concept by overcoming rebellions by poisoning the water of the besieged Asian cities. This gesture was formally reproached to him by Florus who said of him “that he disgraced the Roman army which had never been defiled until then… by violating the laws and practices of the ancients…”. On the other hand, if the use of water poisoning is “shameful” for the Romans, it is not the case of the Greeks who described, encouraged and generalized these practices since the oldest military treaties written by Elian, nicknamed Elian the Tactician (Aelianus Tacticus) (end of the first century). This process is clearly more efficient when water is not very abundant. In the 6th century BC, the Assyrians used the rye ergot, a hallucinogenic plant, to inhibit the abilities of enemy fighters. 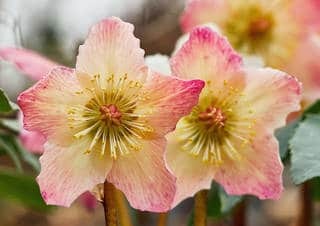 Helleborus roots causing violent gastrointestinal reactions were reportedly used for the first time by the Athenian Solon. Inexplicable deaths among the Athenians suggested that the Spartans had poisoned the water tanks, causing a major epidemic in 430 BC. We will note here that a significant panic effect accompanied the phenomenon but that Thucydide did not confirm the facts. We did not speak at the time of “weapon of massive disorganization” but the concept is very identical to that which one handles currently ! The Byzantine general Belisarius had the cisterns supplying the city of Osimo dumped in 539 AD. It was a failure. The Carthaginian general Maarble left Lybian rebels wineskins in which he had introduced mandrake (3rd B.C.). Returning to the scene a few hours later, he had no trouble taking the enemy deeply asleep! Later, cases of water poisoning multiplied. Metellus (Quintus Caecilius Metellus Numidicus) fighting the Celts (143 B.C.) won by flooding his enemy’s camp in the valley by redirecting a stream in a reserve above the camp before suddenly releasing it. In the Renaissance, Leonardo da Vinci developed a lock to retain large quantities of water to be released on the enemy. Filippo Brunelleschi (the architect of the dome of Florence), developed a project in 430 of diversion of the river Serchio to flood the city of Lucca (Lucca) besieged by the Florentine troops. However, the collapse of a bank diverted the flow that flooded the Florentine troops who barely escaped! Water can also be used as a defensive weapon. Carl Von Clausewitz quotes a known episode of the war between Louis XIV’s troops who crossed the border during the Dutch War in 1672. The Dutch, by opening the doors of the dams flooded the ground, forcing the invading troops to withdraw. Building a tunnel to pass under fortifications or to break down a wall was one of the first techniques used by the Romans. To enter through an aqueduct is the same intention, the installation representing a weak point in the defences of a city. Several examples can be cited, we will give the one that took place during the Gothic war between the Roman Empire and the Gothic in 536. The city of Naples, allied to the Goths, was under siege by General Belisarius. The city was conquered by 400 soldiers who passed through an underground tunnel, the Roman aqueduct “Bolla” that brought water to the city. These events were reported by Procope which allowed the Spanish Alfonso to take back the city held by King Angevin following the same path in 1442! Julius Caesar himself filled the moats surrounding the city of Alesia with water so that the Gauls could not build tunnels to escape the besieged city. Roman camps built in the form of a square were used on one side, often near a river, to supply soldiers and animals with water. When water was scarcer, it was brought in wooden barrels escorted by armed men. The water in the barrels had to remain potable and when it became unfit for consumption it was added small quantities of vinegar. This short historical aspect shows us that water is a major element of any armed conflict. Contaminated it can be responsible for poisonings, redirected it can flood entire plains, made rare, it can miss populations and cause serious pathological disorders. In this blog, we will soon study current threats, including terrorists, to water. L.J. Del Giacco, R. Drusiani, L. Lucentini, S. Murtas. Water as a weapon in ancient times considerations about technical and ethical aspects. Water Science & Technology Water Supply 17(5):ws2017043 · March 2017. This entry was posted in blog-en and tagged biological agent, History. Bookmark the permalink.